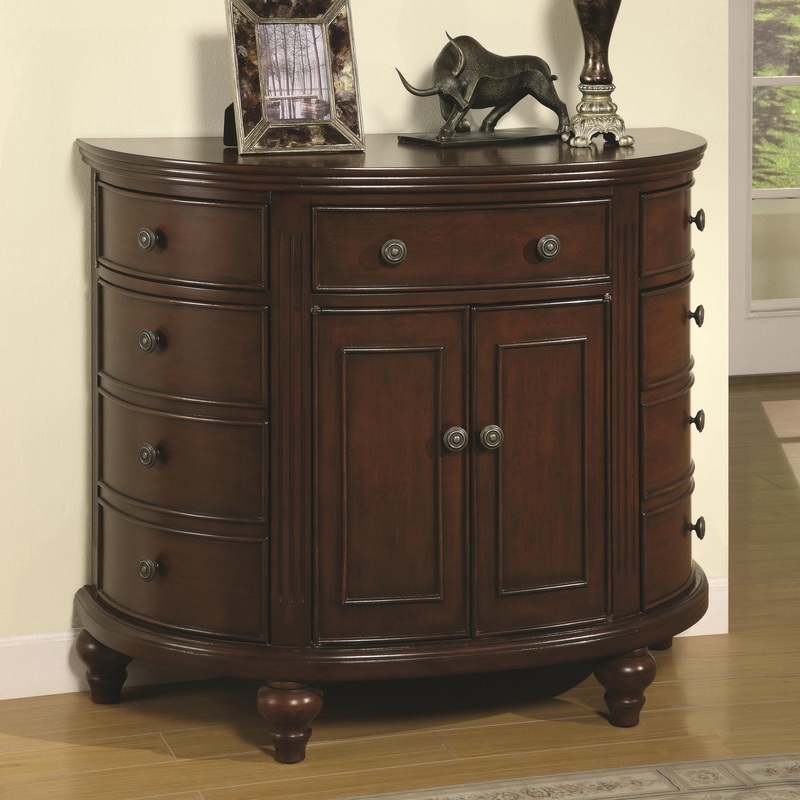 Simple and sophisticated, this accent cabinet will make a great addition in your bedroom, entryway or living room. Featuring three drawers and four door cabinets, the chest becomes a valuable item for adding additional storage options to your home. The chest is designed in a traditional manner with turned ball feet, raised panel edges, a demilune shape, and antique rosette knobs. Finishing the classical-inspired look is a medium brown finish.